Modern vacuum heat treatment furnace can function both oil cooling and pressurized air cooled at the same time, the device is equipped with good performance air cooling system, gas quenching effect is good, and is equipped with oil heater and strong stirring device can realize hot oil quenching. 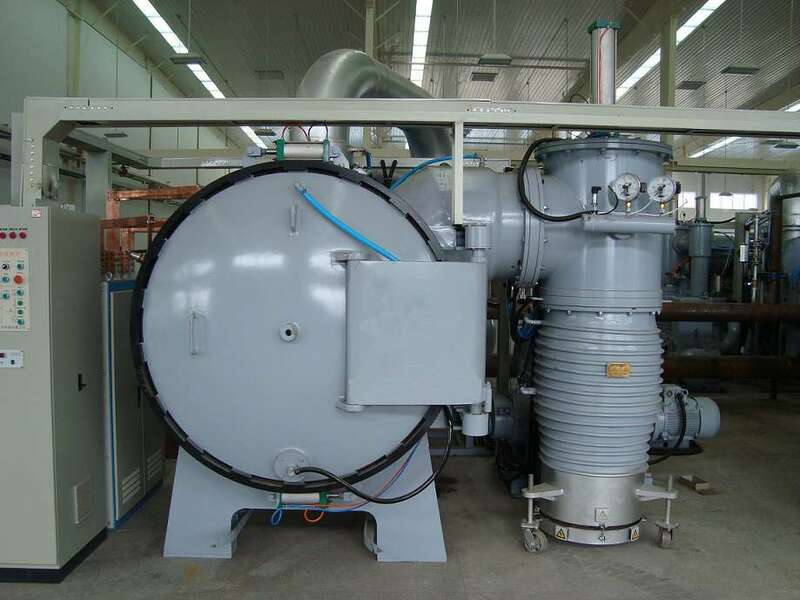 Air cooled oil quenching type vacuum heat treatment furnace in use can be very convenient set cooling and cooling time, can realize the pressurized air cooled, inflatable oil (or gas), stirring or stationary oil cold and more applicability. Because of quenching oil in the cooling chamber in vacuum state, the quenched in oil, the oil level of workpiece after oil no pressure, can produce dramatic rise phenomenon, so must be oil in the workpiece before or after the oil filling high purity nitrogen, reduce the cold indoor vacuum, pressure vacuum quenching oil. Cold indoor nitrogen inflator, also can improve the cooling capacity of the vacuum quenching oil, make the workpiece can achieve pressure quenching hardness, more important is filling the nitrogen, inhibits the vacuum quenching heat the oil in a large number of volatile, reduce air cooled indoor concentration of oil mist (gas), to protect the safety of the oil cooling quenching. It also reduces the loss of vacuum oil and the pollution of the furnace.